TribalCon 2012, a set on Flickr. Photos of the Friday night show and a few shots from around the 'Con! 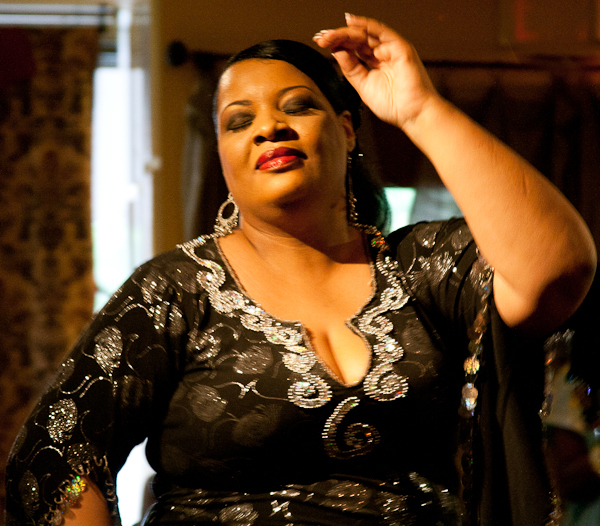 Don't Miss "Club Bellydance" and a Workshop with Moria! Friday, March 9th at Oglethorpe University, don't miss the new Bellydance Superstars production, "Club Bellydance!" This performance will include all the polished choreographies and fabulous costumes you've come to expect from BDSS. But in a unique twist, local performers will also be featured! This is your chance to see Awalim, Amani Jabril, Aya of Istanbul, Samora and Amoraat, and Rafi'yah Dance Company sharing the stage with superstars Sabah, Lauren, Moria, Stefanya, and Sabrina! Get your tickets here (be sure you pick the right location and date)! 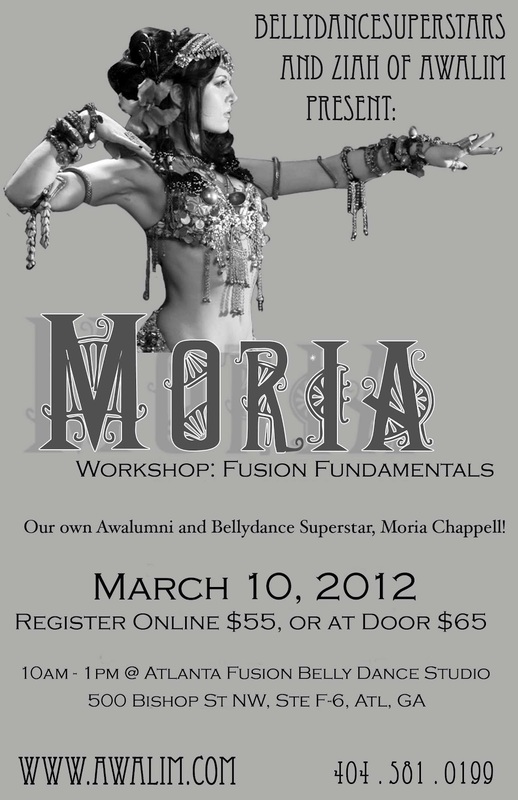 present a Moria Chappell Bellydance Workshop, "Fusion Fundamentals"
Workshop 10:00 a.m. to 1:00 p.m. In Fusion Fundamentals, you will learn the posturing, hand articulation, essential combinations, and spinning techniques that comprise the foundation of tribal fusion bellydance. In this fun and informative workshop, Moria teaches lifted postures and torso articulations as well as arm positioning and hip movements as they combine to form fusion combinations. For dancers who are new to tribal fusion, or for those who are looking for new fusion combinations and fresh inspiration, Moria will methodically, comprehensively and creatively teach drills, patterns and choreography that will help dancers remember their new found fusion expression. It's the last day of TribalCon, and what a great weekend it's been so far! I put out a stack of business cards on the swag table, so if you picked up one of those and you're a newcomer to my blog, welcome! 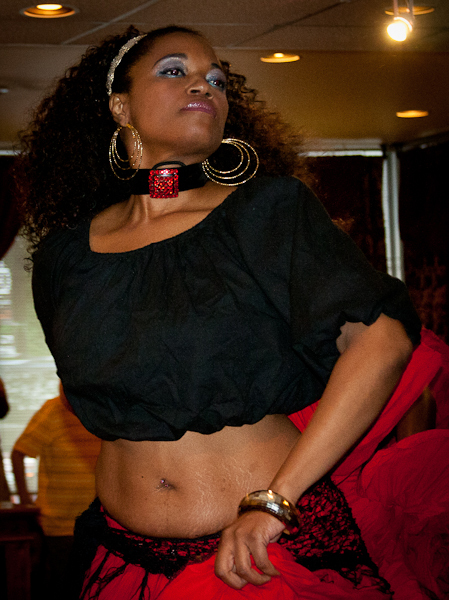 Look for more news in the coming weeks and months about all the belly dance events coming up in metro Atlanta. Yip!!! Tickets Still Available for the TribalCon Saturday Night Show! If you don't have your tickets for the Saturday night show at TribalCon, snap them up while you still can! An annual tradition in the metro Atlanta belly dance community for the eighth straight year, this show attracts the best talent from all over the U.S. This year's show features rare performances from Tamalyn Dallal and Zoe Jakes, as well as other incredible talent from established and up-and-coming performers. The venue is the newly-renovated Courtyard by Marriott in beautiful downtown Decatur. Tickets are only $20! Two of metro Atlanta's rising Raqs stars, Isis and Saniyah, have partnered up to form Les Raissat Belly Dance, a duo available for performances, workshops, and classes. Check out their new web site! Isis, most recently a member of the Bahiraat dance troupe, has been teaching at Amoora Studios for the past few months. She has been studying the art form since 2003. Saniyah, also a former Bahiraat member, has been studying and performing since 2006. Together, these talented ladies are prepared to make a splash in the local raqs community! Keep an eye out for them at upcoming shows and events... and best wishes to them as they start this new venture!